You may be wondering if you can make money online. Isn’t that what everyone wants to do? 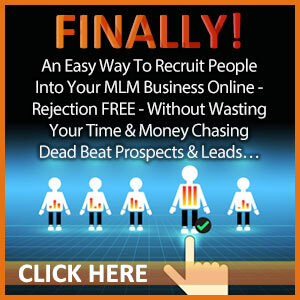 Most people think this is a quick and easy way to earn income. If it were, don’t you think everyone who does it would be a 6-figure earner or millionaire by now? To work from home online is like a dream come true for many. One of the reasons why people fail is because they did not do their homework to understand what is required of them to make money online blogging. They do it for a while and give up due to no results. Does that sound familiar to you? There is so much hype out there about blogging to make money online that it’s ridiculous. There are also a variety of ways to monetize a website with certain products. In this article, I am not going to get into how you should monetize to make money online. Instead, I want to tell you how to be efficient with your time and to write articles that will drive traffic. Do you agree that writing articles that bring in zero traffic will also bring you zero dollars? Good, then we are off to a great start here. I have two important things to share with you that you really need to pay attention to before you dip your foot in the blogging world. If you don’t do these things, don’t even bother getting started. You may be wondering who I am and why you should listen to me. I won’t get into a big story here but my blogging on just one of my websites has brought in thousands of paying customers that also do repeat business. When I started to make money online I was blown away by the power of blogging if done correctly. 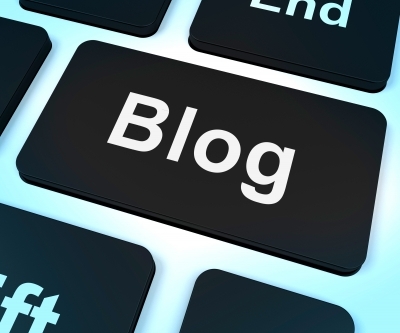 In order to make money online, what the heck should you blog about? That is a great question. Here’s a big mistake that people make. They write about whatever. In fact, I’ve listened in on webinars where people are told to blog daily about anything. 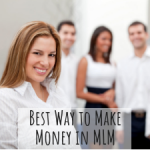 Seriously friends, do you really think that will enable you to make money online? I think not! If you want an online business, you need to get serious here! When you take the time to write an article, make it good and relevant to how you are monetizing your blog. For example, let’s say you are selling health products through your website. Your content should be focused around that theme. If you write about your latest art project or the new pair of boots you just purchased, do you think that will add authority to your website? 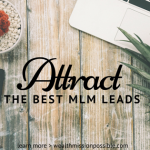 Who are you trying to attract? Figure out who your target market is, what your overall theme is, and focus your blog content around it. Stop wasting time writing about topics that are unrelated to your monetization theme. Educate yourself on how to write the best content with Posting on Purpose for Profit. It’s a worthwhile investment and will save you from the pain of doing this the wrong way. Click here to learn more. Now that you know what to write about, you also need to spend a few minutes using Google Keyword Tool to research keywords. To make money online blogging, this is an absolute must. Not a maybe or sometimes, just do it. Ask yourself this question. 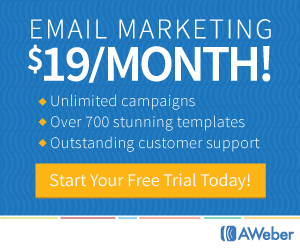 What would happen if you wrote the most awesome article ever but got no web traffic? Well there you go. That is exactly what can happen without proper keyword research. There is a big difference between your webpage showing up on page 50 of Google or page one. 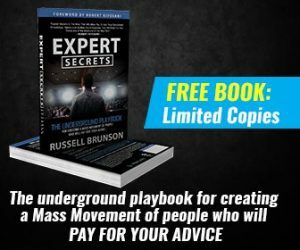 Being on page 50 will bury your dream to make money online. I prefer page one, how about you? When you do this research you are looking for the valuable keywords, the ones that people are actually searching for. You also need to know the commercial value of the keywords. Like anything else, if you seriously want to make money online, you need to put some work into it. It will take time and consistency for you to grow your online business into a profit making machine. Remember, you will not make money online fast but your growing blog asset will reward you greatly over time. Educate yourself first and foremost about keyword research before you dive in. The most comprehensive guide is Predatory SEO. It is a proven system that you will teach you how to optimize your articles to get first page search engine rankings. These rankings drive traffic. Then you make money online by converting the traffic to money. Click here to learn more. It’s possible to make money online blogging if you do it right. Have you tried it? Leave a comment about your experiences. I totally agree with you that people don’t put enough thought into how to monetize their blog posts. Take it from Lisa, blog posts that target a specific audience is the way to go. Great post and keep up the good work. This is some fantastic information. Producing large earnings online money really is easier than most people think. Thanks so much for preparing everything into an easy-to-read information. Thanks for these tips. There is definitely an opportunity to make money online blogging. I believe that we need time and hard work to generate a substantial online income. It does not come overnight. The harder we work, the earlier the possibility to make money. We should not jump into it thinking we’ll be a millionaire the next day. It’s not a ‘get rich quick’ scheme. I have an online biz in a niche related to children and babies, and I also have a blog in a totally different niche. It’s OK to write or blog about whatever. Once you have an audience, start to promote whatever product or service they are interested in. You’re right about too many people thinking that writing a blog is a get rich quick scheme. That’s why so many people give up after several months of banging their head against a brick wall and finding they still haven’t earned much money because they didn’t learn to do it right in the first place. I am now starting to get more serious with my blogging again after being naughty and treating my website with the respect it deserves. In fact last week I got hold of a copy of a great book by Duane Forrester (the guy that does the Bing Webmaster Tools webinars) called “How to make money with your blog” He knows his stuff that guy! If people aren’t prepared to learn what they have been doing wrong all this time they will never make money online. I have recently started my own blog and find it an enjoyable way to share my experience so far. I totally agree with the idea of learning everything about SEO even though it can be daunting at first to find and apply what really works. However with lots of work and perseverance I have been able to rank my blog on the first two spots of the first page of Google for a couple of decent long tail keywords. The difference in traffic between being bottom or top on the first page of Google is amazing and worth every bit of effort made to get there! Hi Alberto! 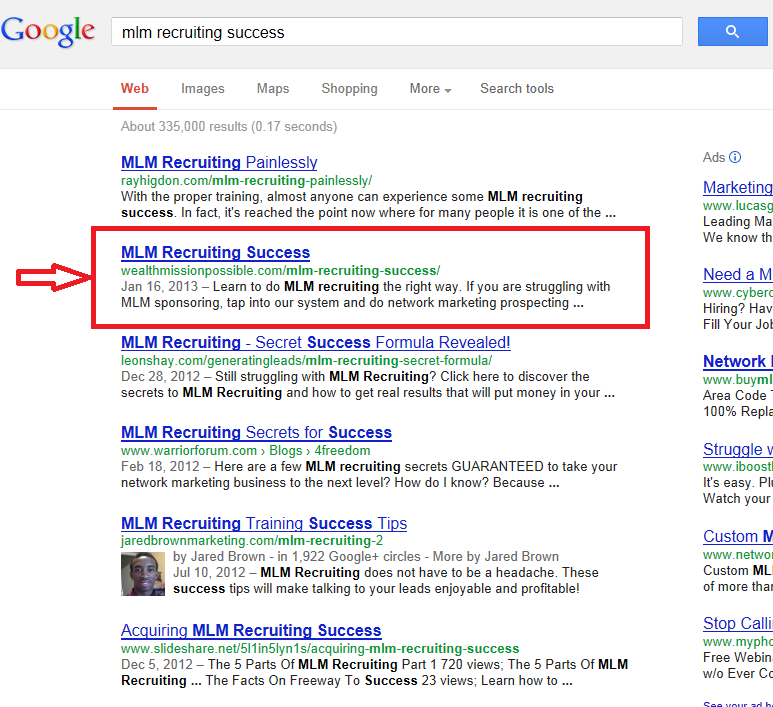 Congrats on getting the first 2 spots rank in Google! That is quite an accomplishment of SEO. Here’s to many more for you! Great article, I definitely think that it is quite easy to make money online if you are passionate about something and know what you are doing. All it takes is a niche that you enjoy, and the ability to market that niche effectively. Great article! I just started with an affiliate program and learning all I can about earning money online with my blog. I did not know much about blogging but the more I blog it gets easier. Finding the ninche is important. I have crafts that I do and am wanting to someday place them on my blog, but I felt like I needed to know about affiliate programs before I make products and place them on a blog or website. I have crafts I make and have been trying to learn all I can about blogging before I jump into putting things online to sell. The more you blog about something the easier it gets. I thought I commented on here earlier but I’m not sure if the comment posted. You are right about educating yourself before jumping into any ninches. Thanks so much for sharing this helpful information. I recently read a blog on 22 different ways to create compelling content. 1 of the ways in which you can create this content is by reviewing products. People want to find out if the product they are interested in actually works. Another way in which you can create content is always having a pen and paper nearby. A lot of the times I’m somewhere random and I think of this great idea, but by the time I get home I completely forget about that great idea. This site has some good info. Anyone can blog. If you are looking to make money blogging which I’m sure everyone is, you need some traffic to your blog which is key. I think that if you focus on blogging on what you truly love and believe and you have a good niche, you can definitely make a decent living online. Hi , its great article on online money making , you just written as i want to say to people who are interested to make money online .Thanks for this article .